It’s eight days and counting until Christmas and my son, Mike, and I who are the holiday cooks for our family, still haven’t decided on the menu! 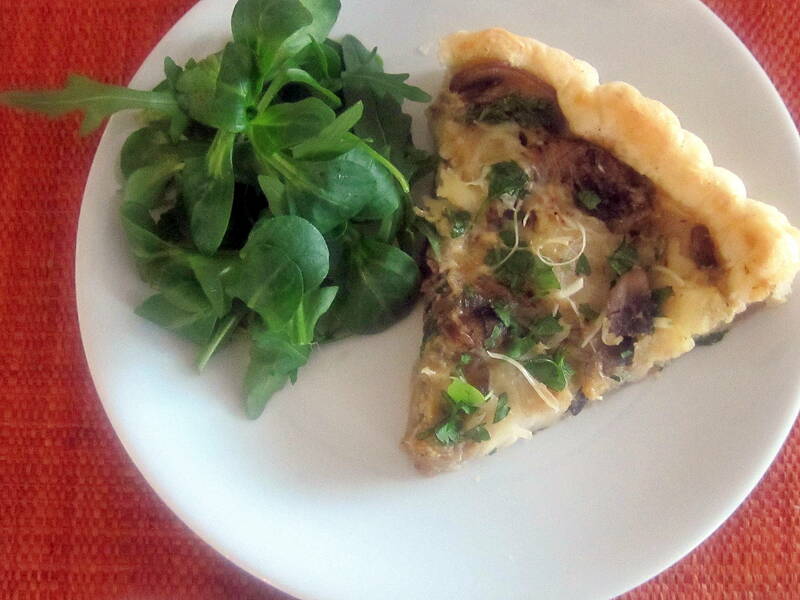 Since he is traveling quite a bit before the 25th, I’ve begun to make some choices and am starting by anchoring our meal with a superb potato and mushroom gratin. 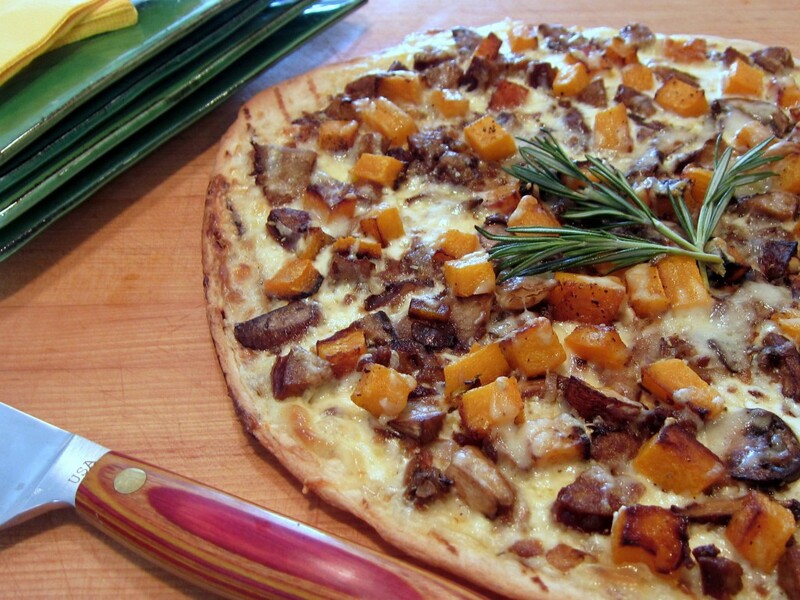 It is layered with thinly sliced Yukon Golds and earthy porcini mushrooms, covered with crème fraîche, and finished with a sprinkle of white cheddar and toasted bread crumbs. 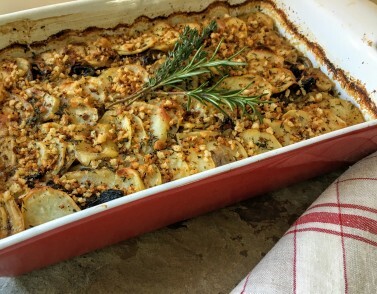 This gratin would pair harmoniously with almost any traditional holiday main course. You could make it the star accompaniment to golden roasted turkey, a glistening glazed ham, succulent leg of lamb, or a regal standing rib roast or beef tenderloin. A few days ago Ann and Peter Haigh, long-time hosts of Pittsburgh’s popular “On The Menu” radio show, talked with me about my new book, Soup Nights. Enthusiastic about the soups in the collection, they mentioned that they had tagged several to try. 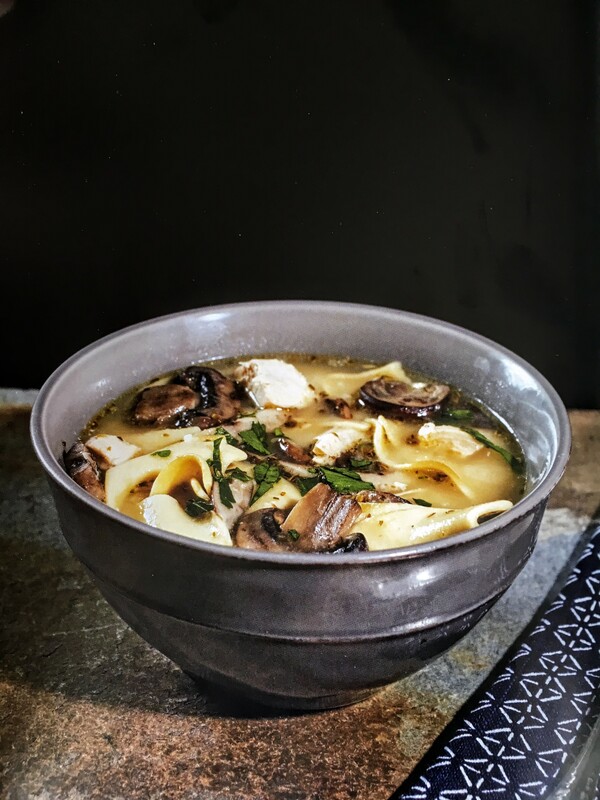 One that really grabbed their attention was Chicken Noodle Soup with Sautéed Mushrooms and Parmigiano, a new version of the comfort food classic. I wasn’t completely surprised by their singling out this soup because the testers for Soup Nights all marked it as one of their favorites. And, now that I am in full publicity mode for the book, I’ve noticed how often this recipe surfaces in conversations. Since the chill of autumn makes all of us crave rich, warming soups, I’m happy to share the recipe. 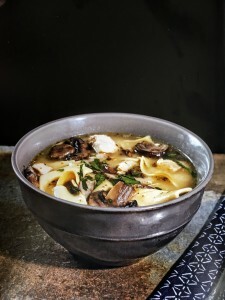 So, for all of you readers who are longing for a bowl of piping hot, soothing chicken noodle soup, here’s that familiar dish with some delicious creative touches. Earlier this month on a picture-perfect summer evening, my husband and I and a good friend ate outside on the terrace of Amherst’s Lord Jeffrey Inn. Our group of three looked at the interesting menu, and surprisingly all ordered the corn risotto as our main course. (If you knew what a carnivore my spouse, Ron, is, you’d be as stunned as I that he by-passed the handsome steak offering for this vegetable main course.). The waitress assured us that we wouldn’t be disappointed, and she was right. 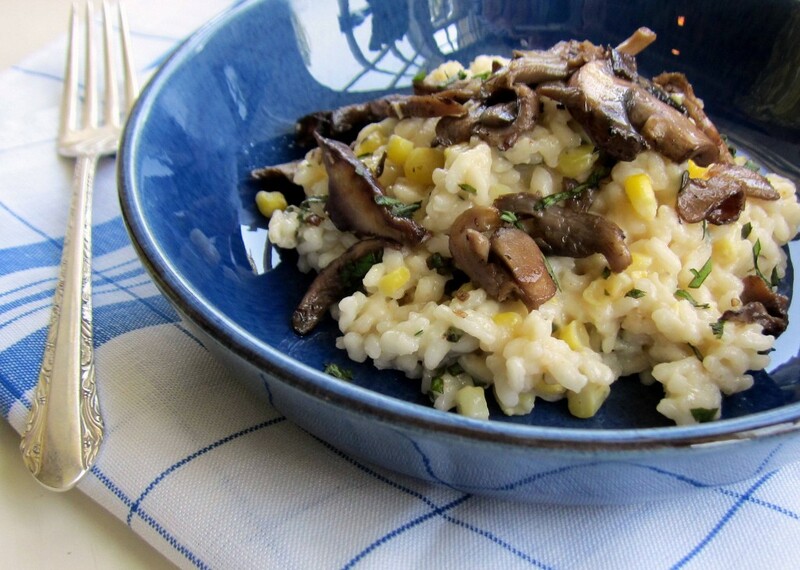 The chef had made a delicious risotto by cooking arborio rice (the classic short, starchy grain used for this Northern Italian specialty) in simmering stock along with fresh corn kernels. As garnishes he had topped each serving with a spoonful of pickled piquillo peppers and some sautéed hen mushrooms. One bite and we were all smitten.